What’s the role of retailing in the Internet marketing future? For many manufacturers, retailers are the only link to their lifeline, the consumer. But in the face of Internet e-tailing possibilities, many manufacturers have spent sleepless nights searching for a way to reconcile their bricks-and-mortar retailing connection with customers vis-`-vis the direct sales potential offered by web marketing. Some manufacturers have stuck with the “safe” bricks-and-mortar arrangement. Others have taken the chance, severed their retailing connection, and found themselves tossing and turning through even more sleepless nights. Only a few manufacturers have taken the step of cutting off their most important revenue channel, the retailer relationship. And the ones that have done this haven’t run the risk of losing everything. 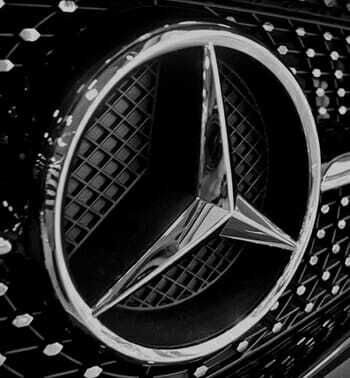 The story is different if your name is Mercedes-Benz or Lego, when your name represents thousands of dealers all around the world. The issue is that the Internet has introduced potentialities that business has not fully perceived – possibilities that have only partially been acted upon. The cultural, fiscal and infrastructural deviations and revolutions these potentialities demand have often obscured their existence from the view of corporate planners. The potential retail/e-tail relationship demands the total redefinition of the role of distribution channels and the re-education of those who operate them. For example, most cars today are still sold through traditional dealerships. E-tail advocates might claim that the car yard is going to disappear. But can this really be the case? Sure, CarPoint and Autobytel are successful because their customers already know what they want to buy. And how do they know what they’re after? They know what they’re buying because they’ve test-driven the car – at the dealership! So the dealer lost the sale. Yet the deal would never have been made between the customer and the e-tailer without the dealer’s having offered the test drive. Now, imagine that all Mercedes-Benz dealerships closed down tomorrow and that the only way you could buy a Mercedes was through auto web sites or via the Mercedes-Benz site. What might have to happen then? A totally new business would have to emerge. One that charges potential buyers for test driving the cars of their choice. Not many people would risk buying a new car without trying it first. The same goes for a whole host of products. You might feel comfortable buying a pair of Nikes on the Net. But 90 percent of all people buying shoes or pants online do so because they’ve already had the chance to try the product. It’s no wonder drugstore.com entered a clicks-and-mortar relationship with Rite Aid. Patently, there is a role for retailers, and there will be for a long time. The losers will be the brands and retailers that think they can compete against the Internet without making any infrastructural and cultural changes. It will be impossible for bricks-and-mortar businesses to compete on price and selection. But where retailers can compete with the Internet is by offering what the Internet can never make available: the metaphorical test drive. Only the retailer can offer the consumer sensory satisfaction: touching, smelling, tasting, and hearing. The future of retailing will be in advanced showrooms without cash registers, without any turnover and without price tags. Retailers will become big entertainment centers – the “Disney Worlds” of shoes, cars, and so on. The retailers’ earnings won’t depend on sales because they won’t make any. Their existence will be determined by the number of visitors they attract, the number of repeat visits those consumers make, and the length of time they spend in the showroom. So that’s the future of retail. But will retailers be quick enough to transform their current business practices, making the transition to this new role before someone else occupies this space as well?